So, this is my favorite way to celebrate fall: Release a new novel! 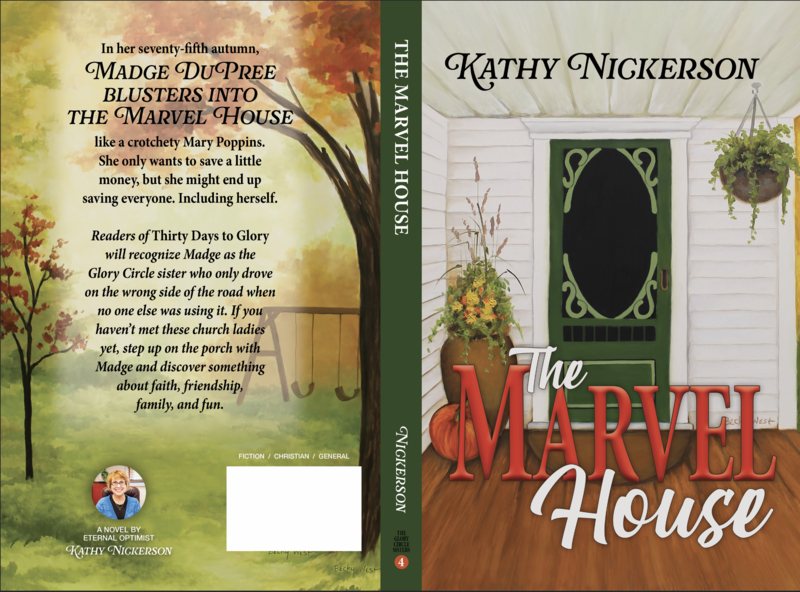 Today – the official cover reveal for The Marvel House, coming in October. Thanks to the wonderful Becky West for providing the original cover art. And, of course, to the amazing Anna Swartzentruber of ScribblesandScribes.com for turning the painting into this cozy cover. I mixed in a little Narnia, a bit of Peter Pan, and – most important – a good dose of the Glory Circle sisters. If you haven’t met these church ladies yet, I suggest you buy or borrow a copy of Thirty Days to Glory, which is book one in the series. If you hurry, you can read it before The Marvel House comes out. Stay tuned for more details about where and when you can find the book. One more thing, dear reader. Thank you for all the encouragement along this journey. Congratulations- can’t wait to read it! I see what you did there. 🙂 Thanks.